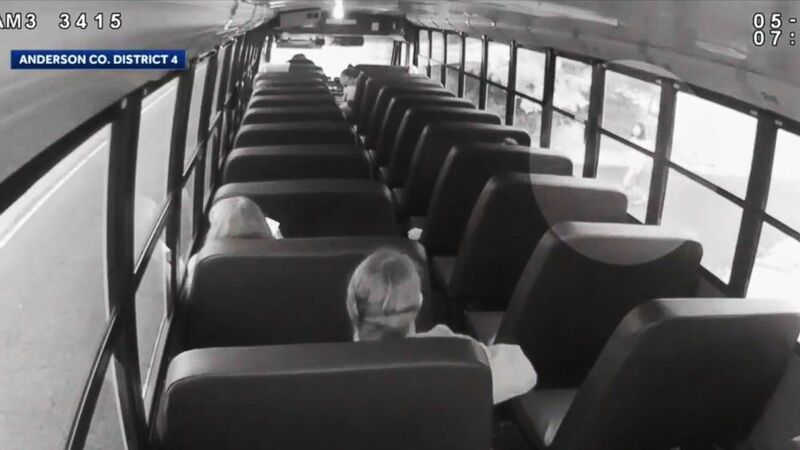 A sheriff’s deputy’s car nearly crushed a girl as she boarded a school bus in South Carolina, as seen on surveillance video obtained by ABC Charlotte affiliate WSOC-TV. 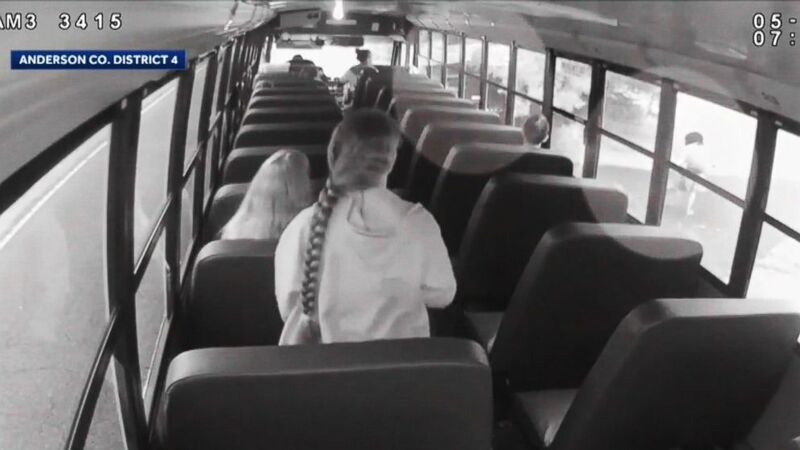 Newly released video from the May incident shows the unnamed Anderson County Sheriff’s Office deputy driving past the parked bus and grazing Pendleton High School student Jordan Reyes, 15, who was waiting at a bus stop. 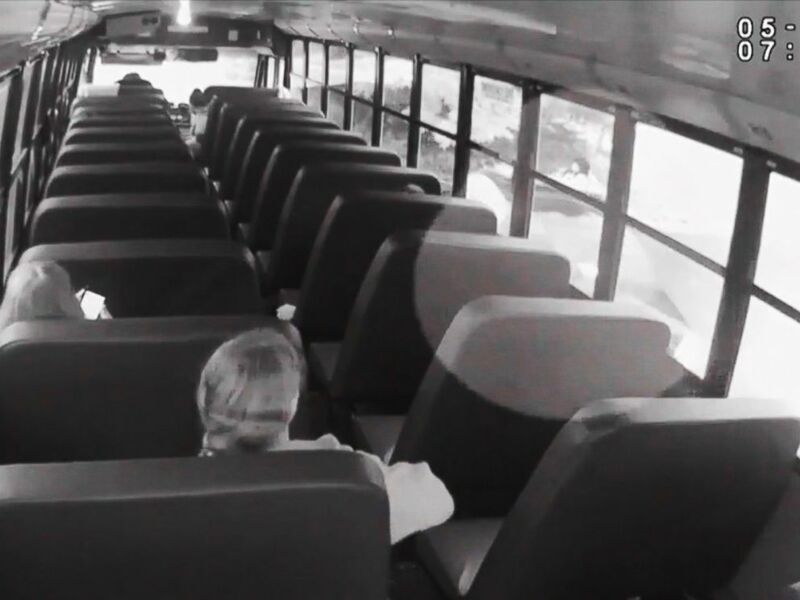 Newly released video from a May incident shows an unnamed Anderson County Sheriff’s Office deputy driving past a parked bus and grazing Pendleton High School student Jordan Reyes. Jordan, after the officer ran over her foot, is now doing OK, the station reported. The deputy driving the car had been distracted by the GPS, according to WSOC, adding that the deputy has been suspended. In response to the close call, the Anderson County Sheriff’s Office has teamed with Jordan to create instructional videos targeted at first responders. “Jordan’s experience is a reminder to all first responders of the dangers of driving while distracted and encouragement for them to remain focused, when behind the wheel,” the office said in a statement. Entrepreneur Jesse Itzler on unplugging and "Living with the Monks"